Since that 1961 LP, players from all different musical backgrounds have sought to learn Robert Johnson's techniques and in this 3-part course, with over 5 hours and 52 minutes of instruction, Tom Feldmann covers every aspect of Johnson's playing. Each song is performed by Feldmann before he dissects the arrangement verse-by-verse and ends with a split screen segment where the song is played slowly with close up shots of both the left and right hands. This is the most expansive look into the guitar playing of Robert Johnson produced in video form. If you are just starting out on guitar or if, like me, you've had lessons (I had 17 years of classical guitar) you won't be disappointed with Mr Feldmann. If you like blues, and want to learn how to play them, then this is a great place to work on them. Tom breaks down the songs of Robert Johnson clearly. It would be useful for beginners as well, if they'd like to know more about blues structure. There are plenty of books and dvds about playing Robert Johnson tunes, but Tom Feldmann is a really good teacher and the lessons are really well presented. Tom Feldmann has immersed himself in Country Blues for 20 years, spending untold hours dissecting original recordings by everyone from Charley Patton to Skip James, Bukka White to – yes, of course – Robert Johnson. 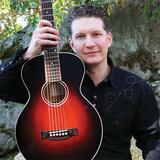 At the age of 37 he is a highly sought after instructor teaching workshops at Jorma Kaukonen’s Fur Peace Ranch, Merlefest, Port Townsend Acoustic Blues Workshop, and instructional videos for Stefan Grossman’s Guitar Workshop. Tom Feldmann has also left his mark as a songwriter, with 12 self released albums to his credit, and has toured throughout North America since 1999, most recently opening for David Bromberg, David Lindley, Larry Campbell & Teresa Williams and Roy Book Binder. Check out his courses below, including the most expansive look into the guitar playing of Robert Johnson ever produced in video form.